DAVID GOOTNICK ASSOCIATES is a New York-based management consulting firm, specializing in leadership development of scientists and engineers within technical organizations. Principals of the firm are Dr. David Gootnick and Dr. Margaret Mary Gootnick, nationally recognized authorities in management, communication and career development. Every training session is an exciting and highly participative learning experience that provides powerful new insights, strategies, tools, and best practices for succeeding in today’s challenging and fast-moving innovative technical environments. For over three decades, DAVID GOOTNICK ASSOCIATES has helped tens of thousands of technical managers, scientists and engineers to maximize their leadership potential and significantly enhance individual, team and organizational performance and effectiveness. Dr. David Gootnick, Ph.D., is Managing Partner & Director of DAVID GOOTNICK ASSOCIATES, a New York-based management consulting firm, specializing in leadership development of scientists and engineers within technical organizations. He is a nationally recognized authority in management, communication and career development and is the author and editor of popular books, journals, and articles, including Even You Can Give A Talk, Getting A Better Job, The Standard Handbook of Business Communication and Action Tools for Effective Managers. Dr. Gootnick is an active consultant, trainer and speaker and has been a popular guest on radio and television shows around the country. He has presented live top-rated technical leadership courses at leading organizations and has trained tens of thousands of technical managers, scientists and engineers, representing a cross-section of the corporate and government R&D communities. The programs of DAVID GOOTNICK ASSOCIATES have been featured at the American Chemical Society, American Management Association, American Industrial Hygiene Association, American Association of Pharmaceutical Scientists, American Society of Crime Lab Directors and the American Society of Civil Engineers. Dr. Gootnick has been a professor at a major urban university for several years and has presented his short courses at dozens of leading universities. He has also been an active member in such professional organizations as the American Chemical Society, American Management Association, Association for Talent Development, Society of Human Resource Administration and the American Business Communication Association. Dr. David Gootnick has helped many organizations to achieve dramatic improvements in key performance areas. Given his background in chemistry, psychology and management, and experience as a science educator and senior management training consultant to tens of thousands of technical managers, scientists and engineers, Dr. Gootnick brings to his award-winning courses a deep understanding of the special challenges of leading and working in a technical environment. Dr. Margaret Mary Gootnick, D.B.A., is Senior Partner & Associate Director of DAVID GOOTNICK ASSOCIATES, a New York-based management consulting firm, specializing in leadership development of scientists and engineers within technical organizations. She is a nationally recognized authority in management, communication and career development and the author and editor of popular books, including Action Tools for Effective Managers, The Standard Handbook of Business Communication and Action Tools for Successful Management. She has also been a management columnist for a national professional newspaper. Dr. Gootnick served as a management instructor for the American Chemical Society, National Association of Accountants, American Society of Civil Engineers and the American Management Association. She also served on the business faculties of New York University’s Business Management Institute and Marymount Manhattan College. 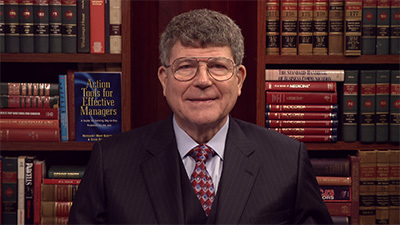 Dr. Gootnick has delivered top-rated popular training programs at major universities throughout the nation including Rensselaer Polytechnic Institute, the State University of New York, the University of Pittsburgh, and Temple University and has trained executives and professionals from hundreds of major corporations and government agencies. 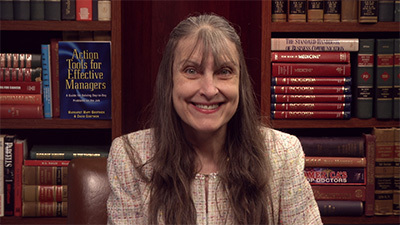 Dr. Margaret Mary Gootnick has earned the distinction of being listed in WHO’S WHO OF American Women, WHO’S WHO in Professional and Executive Women, International Leaders in Achievement, The International WHO’S WHO of Professional and Business Women, and WHO’S WHO in Finance and Industry.